The way we elect the President and Vice-President in the US is quite unique compared to the way we elect every other elected office. We don’t elect them directly. Instead, we vote for Electors who then cast votes for President and Vice-President. Electors from each state are supposed to cast their votes for whichever candidate won that state’s popular vote… “Winner Take All.” Every once in awhile there is a rogue Elector that casts a different vote. It doesn’t matter how many votes a candidate won the popular vote of a state, that candidate will receive all the Electoral Votes, except in the states of Nebraska and Maine which reward their votes based on whichever candidate won the congressional district. The extra two votes are then given to the winner of the state’s popular vote. Only four times in American history has the Electoral Vote and the Popular Vote been different… 1824, 1876, 1888, and 2000. There have been numerous calls for Electoral reform since the 2000 election but nothing has gained a lot of attraction. To completely abolish the Electoral College, there would have to be a constitutional amendment. But to make changes to how those electors are awarded (without abolishing the Electoral College) could be easily done without changing the Constitution as each state has the right to determine how it rewards the Electors. After the 2008 election, Republican legislatures in several states which did include several swing states like Virginia tried to change how their state’s would cast their ballots. Their plan was similar to Nebraska and Maine but with a little tweak. The Electors would be determined by whoever won the congressional districts. The difference would lie in how the other two Electors (the ones that represent a state’s Senators) would be chose by whichever candidate won the most districts instead of the candidate that won the popular vote of the state. This did not sit well with Democrats and nothing came from these plans in any of the states. There is a movement that is gaining traction though. It’s called the National Popular Vote (NPV). This would require a state’s Electors to vote for whichever candidate won the national popular vote in an election. This way the winner of the popular vote would not lose to the winner of the Electoral College as happened last in 2000. As of now, 11-states plus DC have enacted NPV legislation. (The Hill) It accounts for 165 Electoral Votes in total so far and needs only 270 in order for it to become active in the states that have passed the legislation. Of the states that have enacted such legislation, most of liberal-leaning such as Illinois, California, Massachusetts, Maryland, etc. But as this new debate continues in other states, there is the question as to whether this is any better than the current system. Each state is separate from the others. 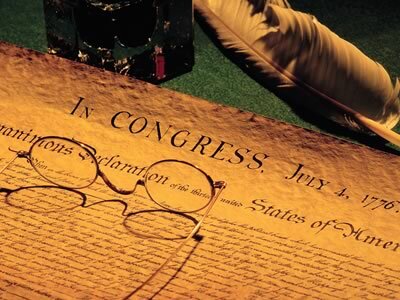 The Founding Fathers wanted there to be state autonomy and unification under the federal government. Each state gets to choose how it decides its Electors in the broader election. But is it fair to have a state’s Electors cast their votes for a candidate that the people of that state didn’t choose simply because more voters throughout the rest of the country voted for the other candidate? As of April 15, 2014, Oklahoma was one of a half-dozen states considering NPV legislation. Can anyone imagine that state casting is Electoral Votes for a Democrat despite the people of the state voting for the Republican candidate in large numbers? Oklahoma is one of the “reddest” states out there. Yes, NPV is an effort to make sure that every vote counts and not just those in swing states as our current system does. But it almost sounds as though the NPV would overrule a state who’s population disagreed with the popular vote. And without most states (more than 270 Electoral Votes) being a part of this plan, it would focus all of the attention on to the states that do have such a law enacted should it become so. According to a 2007 Washington Post Poll, 78% of Democrats support direct popular vote in future presidential elections. 60% of Republicans and 73% of Independents also support such a move. But would a direct popular vote shift focus to the major cities and away from the rural areas since that is where the bulk of the population lives? Maybe states should consider what Nebraska and Maine have. Rewarding Electors by the popular vote of each congressional district and giving the candidate that wins the popular vote of the state the extra 2 votes. Though it has only happened once in the two states that currently use this method (Nebraska-02 in 2008), most states have districts that swing in the opposite direction of a state’s typical Electoral Vote. There are Republican districts in California and Democratic districts in Texas. Suddenly, both parties would focus on those particular districts and any swing districts. There is no definite answer to the solution to the way we elect our President and Vice-President. There are pros and cons for any option. We just need to make it as fair and balanced as possible so that the majority of Americans feel included in the political process and there is not a focus on just a handful of states.